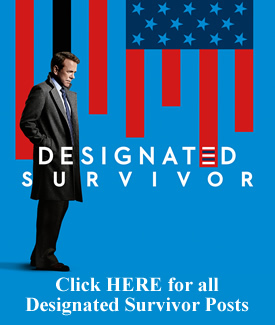 Review (+ Poll): TV Line.com – Designated Survivor: Does President Kiefer Sutherland Get Your Vote? Review: Variety – TV Ratings: ‘Designated Survivor’ Debuts Solid, ‘Empire’ Down ABC’s “Designated Survivor,” one of three new broadcast series to debut Wednesday night, gave a solid performance in its first outing. 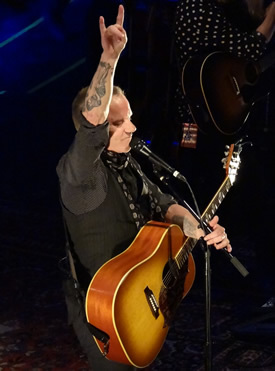 The Kiefer Sutherland drama pulled in a 2.3 ratings among adults 18-49 and 10 million total viewers, according to Nielsen overnight ratings. That’s just shy of double what the season premiere of “Nashville” did in the demo occupying the same timeslot last year in both measures. More after the Jump. Love the Smiles! Thanks Melissa!